Welcome one and all to your salvation from insanity! 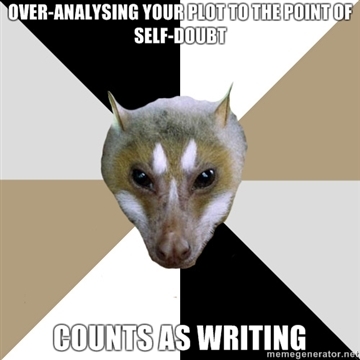 This week has been a roller-coaster of emotional trauma for me and my manuscript as we approach uncharted territory. 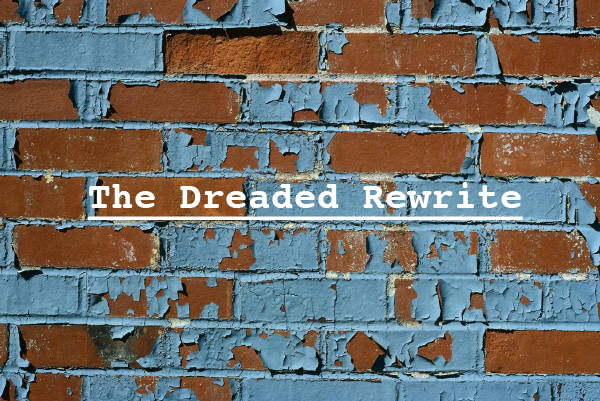 The dreaded rewrite. In search of some relief from my anxiety, I couldn’t find any articles about re-writing an unfinished draft. There was only one article that I found that could be applied to rewriting for any draft first, second, or half draft, which was exactly what I needed. From the blog of Ryan Casey, he writes a phenomenal post called, “Rewriting A Novel: Five Ways to Make It Less Painful” that I suggest for anyone at any stage of their writing to read. I will most likely be making similar points in my own post, but he has such a clever writing style that most likely will sound much better than mine. I should preface this post by stating that almost everything that my mentor has suggested this semester has been perfect. I don’t mean that everything a professor says is always right, especially when creative writing is more subjective than most fields. However, my current mentor has been fundamentally right about everything I needed to do to make my story great. During our first classes in June, my mentor suggested that I change the setting, which meant rewriting at least eight chapters. Doesn’t seem so bad right? It wasn’t. That rewrite excited me. It felt like I was moving into a story that I was comfortable and familiar with rather than doing massive amounts of research. So, I am confident in following the lead of someone who has so much experience and knowledge. So, I started the first rewrite, and I happily worked through the next five months with a renewed sense of purpose. The other night, I finished writing a detailed chapter-by-chapter synopsis of my manuscript, and sent it to my mentor. Less than 12 hours later, my genius mentor emailed me back with his notes on my synopsis. I was deathly afraid to open it. It may not be much that I finally plotted out the entire story beginning to end, but it had been such a relief for me to fit each piece together into a working story after a year of self-doubt. Before I read my mentor’s response, I felt free, relaxed as if my novel was finally heading in the right direction. And then I opened his email. He liked the structure of my story, and among his suggestions lie in wait the most terrifying words to be strung together into sentences. My mentor had…other plans for my novel. Plans that for the first time in the semester, I was not sure of where my novel should be going. His suggestions were insightful and blunt. Both are absolutely necessary when giving critical feedback on a piece of writing. And yet, they didn’t immediately fit as they had all semester long. Instead, I felt confused and exhausted. Confused at how I could make the changes he offered, and exhausted beyond all belief that I would have to scrap over half of the 30,000 words that were already written. I know, I know. You’ll tell me not to be afraid to kill my darlings. I will be honest in saying that I am reluctant to make any big change, but I will if it feels right. What it boils down to is this. I don’t think it would be possible to write my characters in the way I’ve been suggested. Oh sure, I could force them to be different, but I know in my heart that my main character Cassie cannot be changed in the way my mentor has suggested. How do I make my characters become something they’re not? I want to use every sliver of advice I can get from my mentor, but at what cost? At forgoing the purpose of the novel? Should I in good consciousness force my characters down a path that I know is not one they will follow? My brain went into overdrive. In a few short paragraphs, my mind plunged into a rabbit hole of self-doubt. There was a feeble attempt to try and grasp my mind around an entire rewrite, but I was tapped. No ideas left and no energy does not make a good combination for success. So, where did I have left to turn? I want so badly to apply EVERYTHING my mentor has to offer, but I can’t ethically make my characters do something they’re not able. One of my best friends in the entire world came to my rescue. Maeve, a wonderful, talented, strong writer gave me the best advice humanly possible. She said, “You have a story. Don’t lose sight of it.” Best. advice. ever. I needed to remember why I was writing this story, and all of my attempts to make someone else’s vision work was NOT working. I know that all of my mentor’s advise is invaluable, and yet I can’t lose sight of who my characters are and who I am as a writer. So, I have decided I won’t need to do a COMPLETE rewrite of my currently unfinished manuscript. It’s only a partial rewrite. There is still a lot that I do need to change, but they are manageable changes–things that I know my characters are capable of doing. At the same time, I would not have questioned or been able to see the opportunity to improve upon my story without the extreme suggestions of my mentor. He is the evil genius every writer needs in their arsenal, and I am certainly lucky to have spent six months in correspondence with him. We have now come to the meat of my post after a little over 1,000 words here are some fast and fresh tips for handling the madness of rewriting of a story whatever size, genre, or point of completion. If you’re half way done, on the last page, or already on the second draft. From the wondrous mind of my beloved friend, Maeve, I have two pieces of advice for the rewriting process. 1. “You have a story to tell. Don’t lose sight of it.”–In other words, no matter where you are receiving feedback (professor, beta readers, friends) never forget that YOU are the one writing the story. You ultimately know what’s best for your characters and the meaning for your story. 2. “Don’t force it. Percolate a little.”–Take a break from your work for a while. At the very least a week or two. Work on another piece or read a book that has been on your list. If you can separate yourself from your work for a little time, it will make the rewrite a whole lot easier because you’ve had time to recuperate and refresh your mind. 3. If it is within your capability to do–print out what you have written so far. Take a highlighter, scissors, or sonic pen, and find the best and worst parts of what you’ve written. Find parts that you can save or parts you know work. They will serve as a reminder of your overall goal in the rewrite (unless you’re scrapping everything). The worst parts or aspects you are no longer keeping should never be deleted or removed from existence. Highlight them for another story or use to avoid making those mistakes during the rewrite. 4. Always always have an outline for your work in progress. 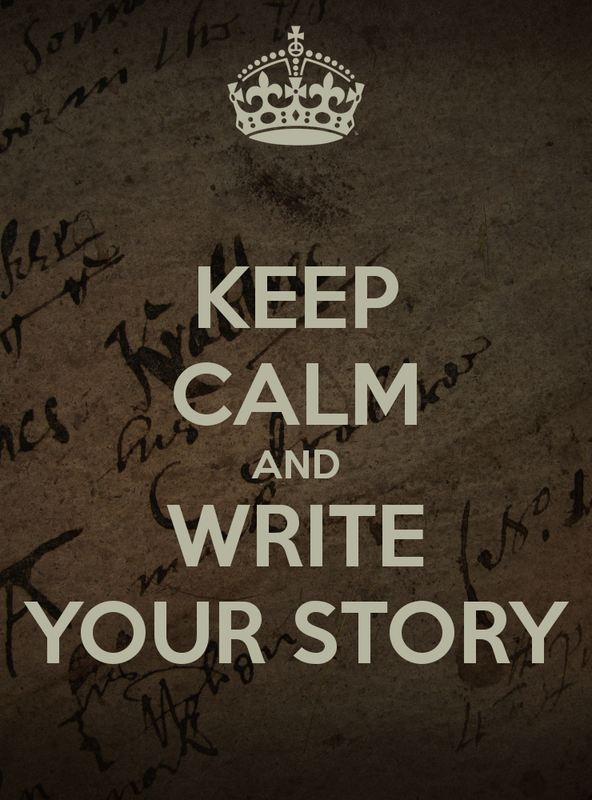 Whether or not you have one for your story before the rewrite isn’t AS important, but making one for the rewrite is. You may go insane trying to rework everything if you don’t have something to guide you on your way. I know some people don’t outline their novels, and they are lucky to have such an organized mind. For most of us, the outline or synopsis helps to pinpoint major scenes and create story arcs that would not exist without proper planning. I happen to have a full chapter-by-chapter synopsis of my work pre-rewrite, so that I can do a sort of “before and after” of what my book will become. In my opinion, it makes it easier to see the transition of my story, and helps smooth out those plot holes that were otherwise invisible the first go. 5. My final tip is this: Be prepared to kill your darlings. Kill them fast and kill them good. It may seem counter productive to claim that I am willing to kill my darlings and then doubt perfectly good advice when given to me. But here’s the thing. Killing your darlings is a very different task than following someone else’s story. Either one can be devastating, but you have to do what’s best for your story no matter what the decision is. This means taking out your favorite scenes or your favorite characters to make room for the RIGHT scenes and the RIGHT characters. The further you delve into a story, the less it becomes about your brilliant, authorial ideas, and more about how you can write the character’s story in the best way possible. Yes, it is your story, but you’re writing about the characters lives, and what you want may not be what is best for them. Trust in your characters, in how much you have grown to love them. Let them speak to you and tell you how the story should be told. And for goodness sake, wait until you are alone in the comfort of your work area to have conversations with you characters. You can’t very well public the next great piece of contemporary literature from the padded cell of a psychiatric hospital. What is your advice for those trying to rewrite? Share in the comments below. Happy reading and writing! Great point! I think I was just too immersed in what I was doing to see what needed improvement. So a break and then back to work!! thanks for linking me to your post! I loved your post as well! Such great insight. We writers do with what we can. Sounds like although the situation was less than ideal…you had plenty of material to work with? Always looking on the positive side of the worst circumstances will lead you to very fruitful and intense stories. Thanks for sharing. It is always good to connect with other writers and see what they have overcome.